There are a lot of coupon sites out there, which we – as the deal-finder experts we are – know well. Because of this, if there’s something really great about a coupon site, it stands out and makes me take notice. Coupon Cactus did just that. Of course, there are some things about the site that you’d hope for – like, you know, coupons and coupon codes. Well, Coupon Cactus has those in abundance. You can find them for a certain store really easily with their list in the sidebar, which I love. 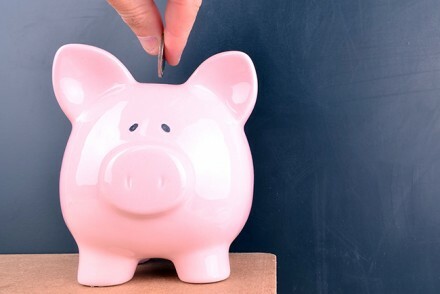 When I’m looking for discounts, it’s typically going to be for a store I know and have already planned on shopping at, so being able to find what I want quickly is a huge plus. For instance, say I want to save with Nordstrom coupons – they’re right there at the click of a mouse. Simple, right? You can save money with Nordstrom coupon codes or codes for virtually any store you’re interested in. 1) Live Chat help. If you have trouble finding something or have any questions, their staff is there to help you out. And if you happen to visit their site outside of normal business hours, there’s a spot down in the bottom right corner of the screen to submit your question. I love that they want to go above and beyond for good customer service. 2) Cash Back. They tell you straight up that they offer cash back because they get paid a commission for every order you place and they want to share it with you. That is something you’re just not going to find most places! love, love, love coupons! Thanks for sharing. 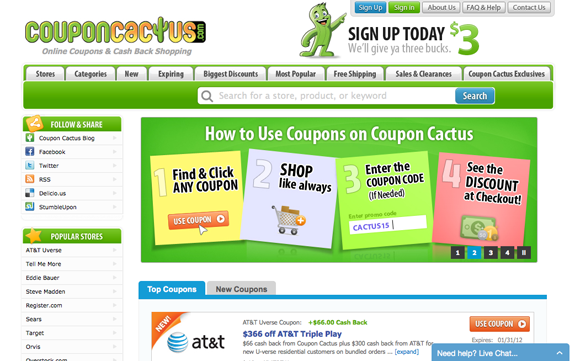 i’ve never heard of coupon cactus before…i was just looking for a coupon for burlington coat factory this morning. wow; I thought I had heard of all the coupon sites- adding to my favorites now! Who wouldn’t want cash back?